Halloween in Chile is a great example of globalization and Chilean’s local adaptation of another country’s tradition. While Halloween is October 31st in Chile, that day wasn’t always celebrated as such. In fact, November 1st is All Saints Day and is a national holiday in Chile where people will visit cemeteries to honor their deceased ancestors. In 2008, the Chilean government, recognizing that All Saints Day was a Catholic holiday, established October 31st as “Day of the Evangelical and Protestant Churches” for those of Protestant and Evangelical faiths. 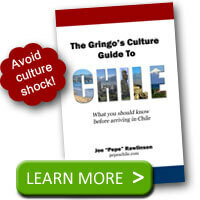 Despite the days around Halloween being set apart for religious holidays, Chileans have slowly adopted the Halloween practices typical of celebrations in the United States. Large global companies and their pervasive marketing have accelerated the imagery and traditions of a Gringo Halloween in Chile. This includes large displays and decorations at retail stores across the country. Today many Chileans go Trick-or-Treating in their neighborhoods just like their North American counterparts. Chileans will dress up in costumes and go door to door proclaiming dulce o truco with the hopes of getting some candy for their neighbors. 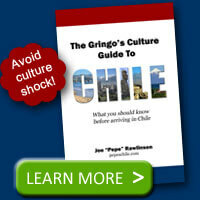 So if you are in Chile on Halloween, don’t be surprised to see little ghosts and goblins wandering the streets.